PARSHALL, ND, February 24, 2012, Jeanette Cecil, Owner of the Parshall Motor Inn, has been recognized by Elite American Business Owners for dedication, achievements, and leadership in business management. 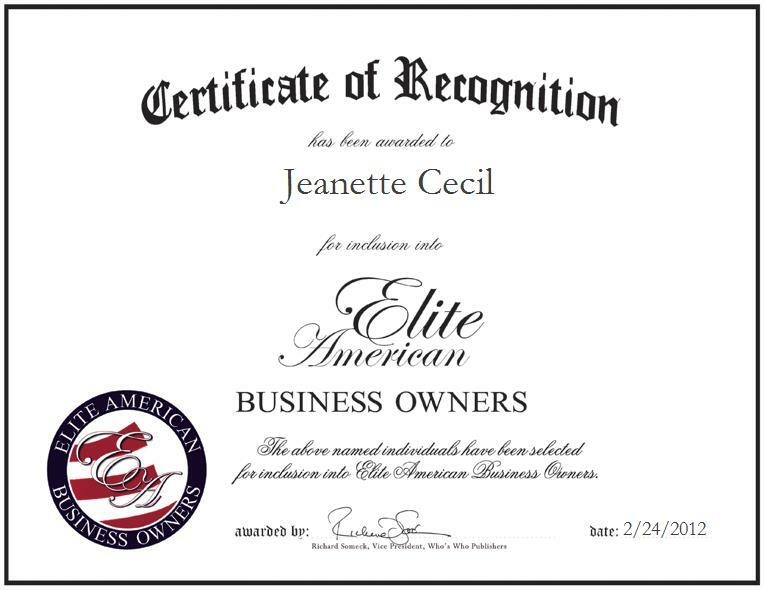 Ms. Cecil established her company three years ago, and she has experienced abundant professional growth as a business owner since the company’s foundation. Upon its inception, the hotel was solely a 15-room inn; her establishment has grown bountifully to consist of four cabins which total to eight rooms, and an additional two cabins with four rooms. Ms. Cecil’s cabins are built by the Buffalo City Wood Products, Inc. in Jamestown, ND. She provides wonderful customer service and personal attention to all her patrons. With a strong customer service-oriented background, Ms. Cecil stands strong as a prominent industry leader in her community. At the helm of the lush motor inn, she is responsible for overseeing quality customer service initiatives, administering personal attention to patrons, cleaning rooms, handling laundry services, and managing operations of the business. She attributes her success to the support she receives from her friends.